It is always difficult to make predictions for the year ahead but here are some events and countries worth watching in 2019. Brexit: Will the Brits save themselves? 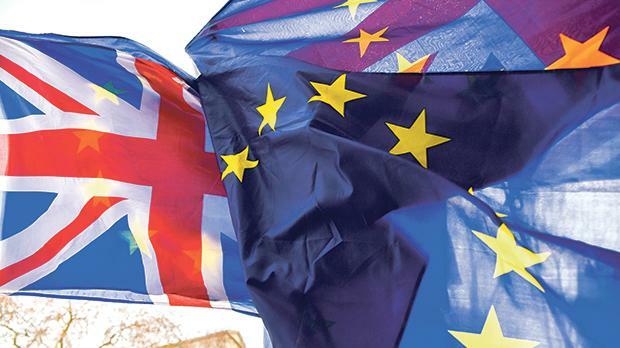 On January 15 British MPs will vote on their government’s proposed withdrawal agreement with the European Union. If the deal is approved, and this seems unlikely, Brexit will take place on March 29 and will prove to be a massive historic error. Britain’s role in the world will decline, economic growth will slow, Scotland will become independent and the EU will be weaker. If the accord is not approved the UK will either crash out of the EU with no deal – and the consequences will be far worse than described above, including a return to ‘The Troubles’ in Northern Ireland, or a second referendum will be held which will hopefully prevent Brexit, or Theresa May will resign and a general election will be held – which could lead to another hung Parliament. Then what? Good question. 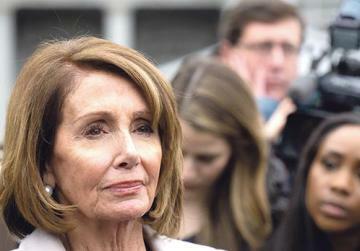 We can expect fierce clashes between US President Donald Trump and the Speaker of the House of Representatives, Nancy Pelosi. Will Trump remain in office? 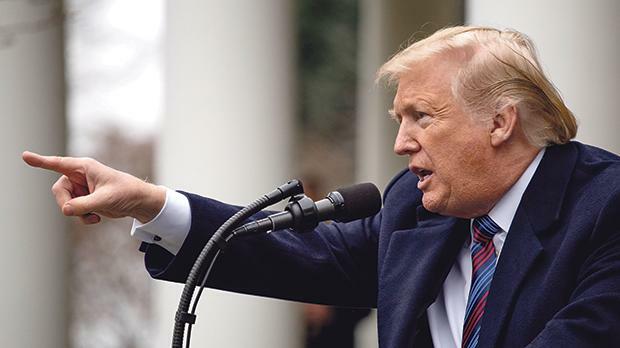 US President Donald Trump starts the year in a radically different political scenario with the Democrats, led by Speaker Nancy Pelosi, controlling the House of Representatives. The battle between the two will be fierce and neither side will be in a mood to compromise. We can expect gridlock to be the order of the day as the current government shutdown over the building of a wall with Mexico has shown. We can also expect more sackings and resignations within the Trump administration. The Robert Mueller investigation will be concluded and will not be good news for Trump; there will be indictments and a very critical report. This could well lead to Trump being impeached by the House of Representatives, but there will not be enough votes in the Senate to remove him from office. Another possibility is that Trump will resign in return for not facing prosecution. There will likely be a long list of Democrats announcing their candidacies for the 2020 presidential election. Europeans go to the polls in May to elect their MEPs. This will be the first European Parliament election in which the UK will not be participating, assuming Brexit does go through. It is likely that right-wing populist parties will make some gains, mainly due to migration, notably Alternative for Germany, the Sweden Democrats, France’s National Rally and the Italian League. It is also probable that Spain’s new right-wing Vox party will elect some MEPs. The pro-EU parties will, however, hold on to their majority, which will remain substantial. We can also expect Russia to back the populist parties through fake news on the social media, data leaks, hacking and other means. A new European Commission President, as well as a new group of Commissioners, will replace the current Commission in October. If the centre-right European People’s Party emerges as the largest party after the European Parliament elections, then its leader, Manfred Weber, will likely be the next European Commission President. It will be a very important year for French President Emmanuel Macron who will have to do his best to get his economic reforms back on track after weeks of ‘yellow vests’ protests towards the end of 2018. Macron will have to get results in boosting economic growth, making France more competitive and cutting unemployment. He will need to carry on with his market-friendly policies while at the same time being more sensitive to the everyday concerns of ordinary people. Macron’s recent decision to increase the minimum wage by €100 a month and to do away with certain proposed tax increases shows that he is able to listen to the people, but he needs to improve his communication strategy. We can expect Macron to campaign hard in the European elections to prevent Marie Le Pen’s National Rally from coming first in the poll, which would be a psychological blow to the President. Europe needs Macron to succeed; without France (and Germany) there is no Europe. It’s difficult to predict what’s going to happen on the Korean peninsula because North Korea is an isolated, super-secretive insular country led by an unpredictable leader who is difficult to understand. In his televised New Year’s Day speech North Korea’s Kim Jong-un hinted at a possible cap on nuclear weapons production if the US takes equivalent steps, whatever that means. He also reaffirmed his commitment to denuclearisation – which does not mean unilateral denuclearisation. While North Korea has stopped underground nuclear tests as well as missile testing, no progress has been made towards getting rid of its nuclear weapons, despite last year’s inter-Korean summits and the Trump – Kim summit in Singapore. I do not think Kim will get rid of his nuclear weapons in 2019, especially since he has made it clear that a prior condition for this is the lifting of US sanctions. In any event, let’s hope that both Washington and Seoul continue their diplomatic efforts aimed at easing tensions with Pyongyang. It is doubtful whether Moscow’s relations with Europe and the US, which are at an all-time low, will improve, especially if Russian President Vladimir Putin continues with his destabilising strategy in Ukraine and his assaults on liberal values through the social media. Unpopular pension reforms in Russia have hurt Putin’s approval ratings and further action in Ukraine, which elects a new President this year, could be a distraction from domestic woes. It is not clear, however, just how far Putin will allow the situation to escalate; after all, both Slav nations have deep historic ties. We can expect things to get worse when the Robert Muller investigation in the US is completed and the full extent of Moscow’s collusion with the Trump campaign is revealed. Channels of communication will definitely remain open, rightly so, with both the EU and US, but I don’t see any signs of improvement on the horizon. Furthermore, it is unlikely Russia will prevent the US from pulling out of the 1987 Intermediate-range Nuclear Forces Treaty, which keeps nuclear missiles out of Europe, by guaranteeing it is not violating the treaty, possibly leading to a new arms race in Europe. Chinese President Xi Jinping’s speech marking 40 years since the start of improved ties between China and Taiwan called for the peaceful unification of the two countries on a one-country-two-systems basis. However, Xi also warned that China reserved the right to use force to achieve its goal and prevent Taiwan’s independence, pointing out that the people of Taiwan “must and will be” reunited with China. Such a speech represents a bolder and more assertive China, and could also be partly due to America’s retreat from global leadership under President Donald Trump. In 2019 we can expect Xi, who last year consolidated his hold on power after the National People’s Congress approved the removal of the two-term limit on the presidency, to continue China’s military activity as well as island-building in the South China Sea. However, Xi will also have to thread carefully in his country’s trade dispute with the US. The quarrel between the two countries is at the moment suspended as a result of a truce, but the US has demanded that China must start talking about intellectual property theft, non-tariff barriers and forced technology transfer if more tariffs are to be avoided. Will China comply? The world will be watching President Jair Bolsonaro of Brazil, who was sworn in last week, to see whether he will respect the country’s Constitution, rule of law, civil rights and the environment. 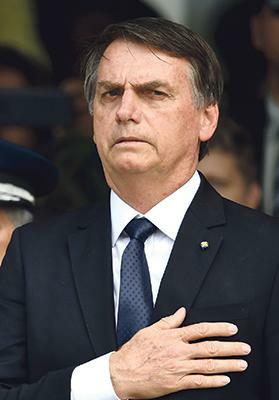 The recent election of the far-right Jair Bolsonaro as President of Brazil sent shock waves throughout the region and the world. An admirer of Donald Trump, his comments about his county’s past military dictatorship, torture, gays, indigenous people, the rainforest and women have appalled his critics. The world will be watching Bolsonaro, who was sworn in last week, to see whether he will respect the country’s Constitution, rule of law, civil rights, and the environment. Bolsonaro, however, does have an opportunity to bring about economic reforms and boost economic growth, as he has promised to do. He will have to work closely with the Brazilian Congress, where his Social Liberal Party does not have a majority of seats. He did not invite representatives of Nicaragua, Cuba or Venezuela to his inauguration, all ruled by left-wing regimes, and it remains to be seen whether this will be the start of a Latin American-wide isolation of these countries. There will be presidential and parliamentary elections in Nigeria, Africa’s largest economy and the most populous country in Africa; Indonesia, the largest Muslim population, and home to 12.7 per cent of the world’s Muslims, and Argentina, Latin America’s third largest economy. Parliamentary elections will be held in India, the world’s largest democracy, where Prime Minister Narendra Modi, who has presided over economic growth and reforms, will find it difficult to repeat his landslide victory of five years ago due to disenchantment among lower income voters. He is still expected to win, however. Parliamentary elections will also be held in Finland, South Africa (this election will also determine who will become the next President) and Canada, where Prime Minister Justin Trudeau is not as popular as he once was. We can anticipate no progress to be made in the Middle East peace process this year, especially if Donald Trump remains in the White House, and Israel will continue to build illegal settlements in the occupied territories with impunity. The only possible glimmer of hope will be the election of a more balanced Israeli government in April’s elections, one that is truly committed to a two State solution, but with the right-wing trend of Israeli society, this seems unlikely. Iran, Russia and Turkey will continue to get more and more involved in Syria, and the regime of Bashar al-Assad will feel more secure, especially as the Americans start to pull their troops out of Syria and get less involved in the country’s conflict. Trump will be under domestic and international pressure not to betray the Kurds in Syria – who played such an important role in retaking territory from the so-called Islamic State – but it remains to be seen whether the US President will delay his troop withdrawal. In Iran, the US economic sanctions re-imposed after Washington withdrew from the nuclear accord will hurt the Iranian economy but the European Union will do whatever it can to save the deal. Brussels has already come up with a system that will allow European companies to bypass US sanctions, and if successful will be a massive achievement. The world will be carefully watching Saudi Crown Prince Mohammed bin Salman to see if he can survive the aftermath of the brutal murder of journalist Jamal Khashoggi. The killing shocked the world and changed the international community’s perception of the Crown Prince. I doubt King Salman will demote the Crown Prince, his favourite son, who has distanced himself from the killing, but he might not get off in the event of any other mishaps. There were encouraging signs coming out of Ethiopia last year when the country’s new Prime Minister, Abiy Ahmed, freed thousands of political detainees, allowed banned Opposition groups back, lifted a state of emergency, appointed a Cabinet of whom half are women, declared the end of war with Eritrea – and reopened the land border with its neighbour after giving up disputed territory. The changes captivated many African countries and hopefully Ahmed will not only be able to maintain the momentum of reform and change but his transformation will serve as a role model for much of the continent. In the Democratic Republic of Congo (DRC), the results of the country’s presidential election held on December 30 have still not been announced and pressure is growing on the country’s Electoral Commission to make an announcement. The DRC, the second largest country in Africa, is fraught with political instability, regional rebellions and gross human rights violations. It is rich in natural resources but 64 per cent of the population live on $1.90 a day. The country has never had a peaceful political transfer of power. Will the DRC finally embark on a new era? The Opposition fear the election might have been rigged in favour of Emmanuel Ramazani Shadary, the ruling party candidate who was handpicked by the outgoing President, Joseph Kabila. If this is the case the international community must not recognise the result.